Traditional Sri Lankan New Year was never this good for the men and women of isolated Koul Ara, a tiny village in Southern Sri Lanka . Less than a year ago they were employed as unskilled labourers, harvesting sugarcane on a nearby plantation. When the sugar factory workers went on strike, the community came to the brink of starvation. They were saved this terrible predicament only by the intervention of the MJF Foundation which came to their aid. Through the Foundation’s Local heroes programme the community was transformed, and a process of empowerment saw them embrace a new livelihood, and take charge of their destinies. On 10th April, 2008, two days prior to Traditional Sri Lankan New Year, the MJF Foundation team participated in a very special occasion at Koul Ara; the presentation of their very first Festival Bonus payment, an emotional and inspiring event for these villagers who had never in their lives earned so much money. The process of empowerment designed by the Foundation team saw the villagers trained in the art of pottery, in a sustainable and appropriate manner. The active involvement of the community was sought in constructing workshops, display centres and training centres, which were funded by the Foundation. Ajith Perera, one Sri Lanka ’s best pottery craftsmen was retained by the Foundation to guide and support the community. 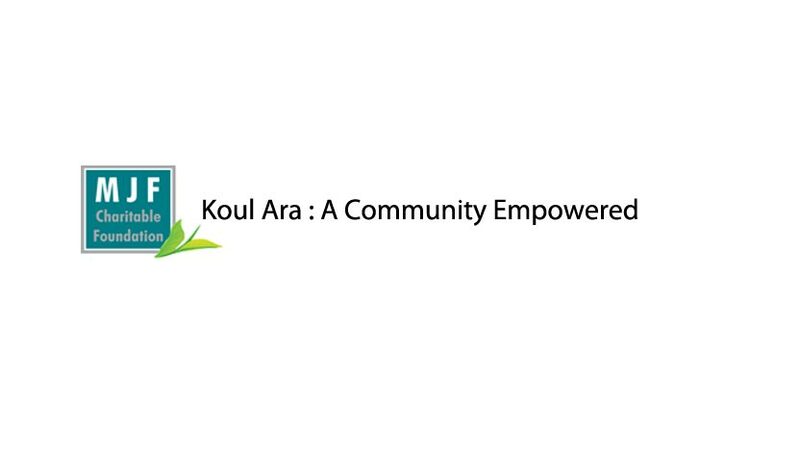 Confirming the belief that every individual, however poor or deprived, has an innate ability to better themselves through their own efforts if provided the means, the Koul Ara community flourished with the training, equipment and skills that were shared with them. Clearly it was opportunity they lacked, and not ability. The talents of the community were showcased at an MJF Foundation Exhibition at Colombo ’s Barefoot Art Gallery in Colombo in October 2007. The exhibition was a success with guests in awe of the talent and skill of these villagers who were a few months ago working in sugar cane fields. The direct interaction with customers provided them with the exposure they required to understand the demands of their market. The Koulara community was one of the initial projects of the MJF Foundation Local Heroes programme, which aims to empower village communities through sustainable livelihoods that respect the environment, traditions and culture of the benefactors. The programme involves equipping the community with the resources and training for their livelihood and using the Dilmah network to take their products direct to consumers around the world. Importantly it is designed to ensure that the beneficiaries remain independent, avoiding the dependence that so often results from ‘charity’ projects of this sort. Having achieved the required level of competence, the Koul Ara community received their first order for artistic, handmade, fish and animal figures in pendant style. Dilmah Promotional strategies for 2008 were adjusted to incorporate the figures and the first batch was produced for Dilmah consumers in Poland through Gourmet Foods Ltd. Ten ethical, sustainable, individual and beautiful pendant designs, each inspired by endangered species found in Sri Lanka will be featured in a consumer promotion soon to commence in Poland . The story of the Koul Ara community is printed on each. The proceeds from this order was given back to this community through a Co-operative Society established for and with them, by the MJF Foundation as part of Local Heroes. A significant portion of the revenue will be reinvested into the Koul Ara Village , to expand their operations with the necessary equipment and tools, and to establish a direct sales centre close to the Uda Walawe National Park. The community’s pride in their new livelihood is evident in the showroom they have recently constructed in their Craft Village . Similar to their factory and visitor centre which was built by them using materials and equipment provided by the Foundation, the showroom is developed using natural resources for an eco friendly structure and environment. A showcase of the terracotta ornaments and accessories produced by this community are tastefully displayed and each item articulates their passion and commitment to their new livelihood. Addressing the community at a ceremony on 10th April, Dilhan C. Fernando, Trustee of the MJF Charitable Foundation commended the Koul Ara community for their dedication and commitment and spurred them on to achieve greater heights. Using the example of MJF Foundation Settlor, Merrill J. Fernando, Dilhan reminded the villagers that as a young man from a small fishing village, a vision, effort, integrity and perseverance led him to becoming a successful businessman today. Dilhan went on to announce a further order for more of the figures as the promotion is extended to Australia , New Zealand and other countries. The MJF Charitable Foundation will continue to build on the model adopted in the Koul Ara community and replicate it in other underprivileged communities around Sri Lanka . The next stage of the Local Heores project at Koul Ara is to establish a gas fired Kiln to expand the capacity of the villagers, and then to bring in other villages in the area, to eventually form a group of pottery villages, producing handcrafted ceramic jewellery and handicrafts.